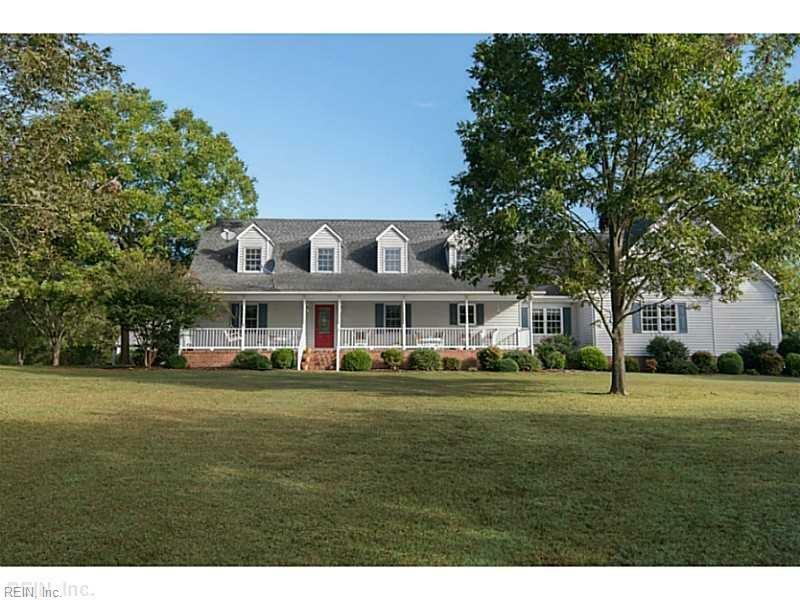 Custom built home on approx 9 acres of land only a short drive from Downtown Smithfield, VA! 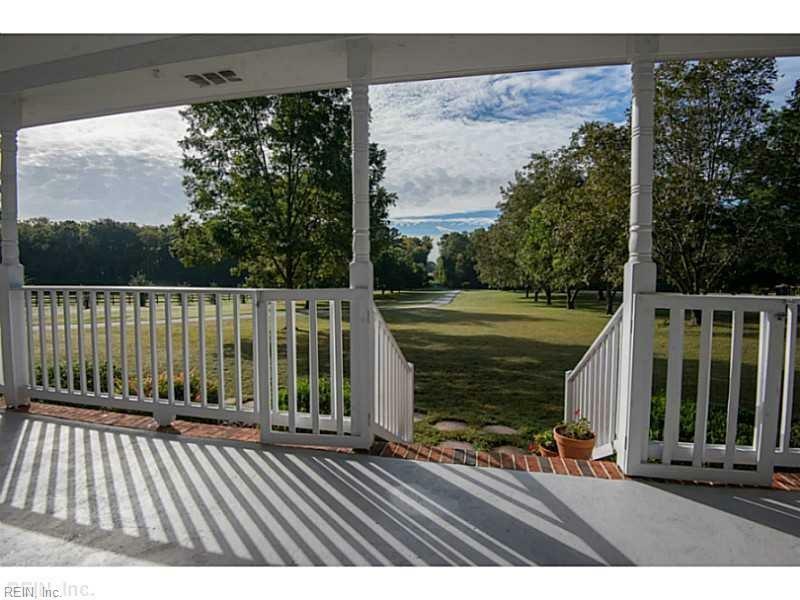 Enjoy country living from the front porch overlooking your private estate! 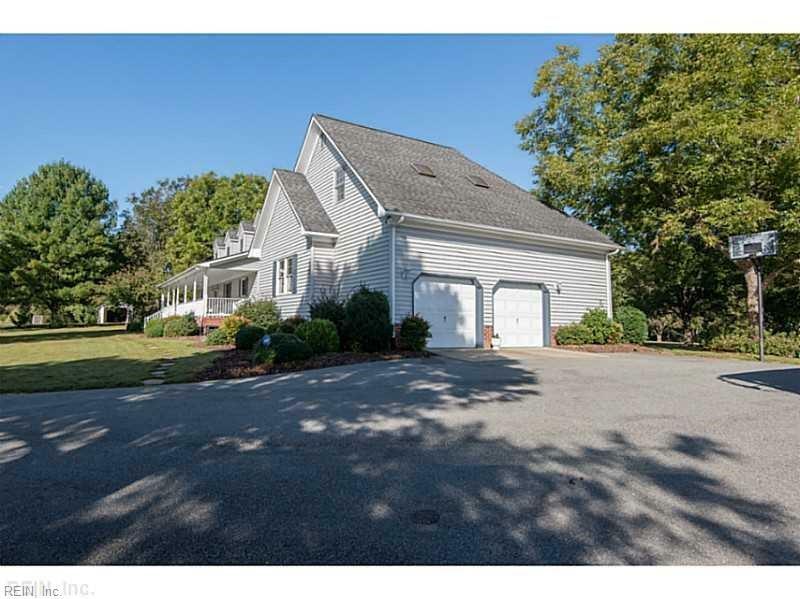 Home features approx 4,754 sf of living area plus 1642 sf of basement and attached oversized 2-car side load garage! Home is set-up for one level living! 2nd floor is basically an in law suite! Home has lots of decking, plus 2 detached workshop/garages, one could be converted to a horse stable. 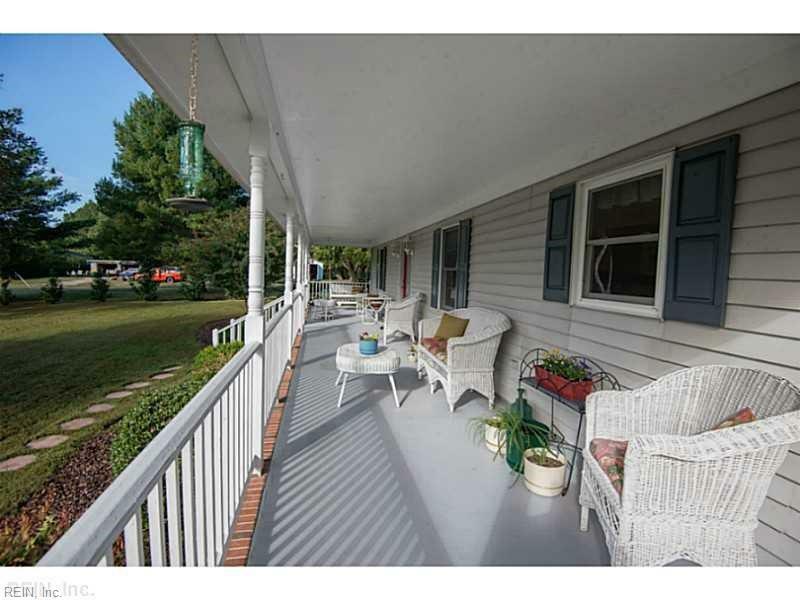 Land lays out great for the horse lover! Priced under appraisal for quick sale!